Prices include at least 20kg luggage (25kg FREE MAY - OCTOBER until 15th April 2019), and in-flight meals from November to April. Gatwick flights depart mid-afternoon from Banjul. 01489 866939 who can book your flight for you. Can't find what you're looking for? Search all flights. Prices and availability are correct as at 21/04/2019 06:50:57. We fly year-round from London Gatwick, including the only direct UK flight during the summer months. Our scheduled flight timings are morning departures from UK, returning into Gatwick by 11pm. During the winter from London Gatwick, we operate a twice-weekly service with Titan Airways, which continues to receive excellent feedback. The seat pitch in economy offers excellent legroom compared to other airlines flying to The Gambia, and seats are pre-allocated at no additional charge. In addition, at the front of the aircraft we offer an upgraded service: Star Class and Star Plus offering many extras both at the airports and on-board, including an increased luggage allowance (10kg hand luggage and 30kg hold luggage - 40kg if travelling in Star Plus). 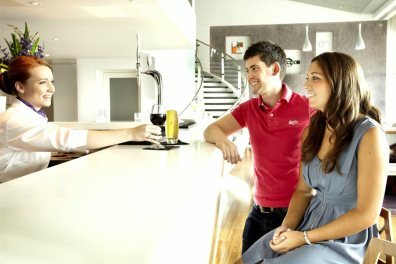 Also, during winter, there are twice-weekly flights from Birmingham and once a week from Manchester offering a wider choice of durations from your local airport. 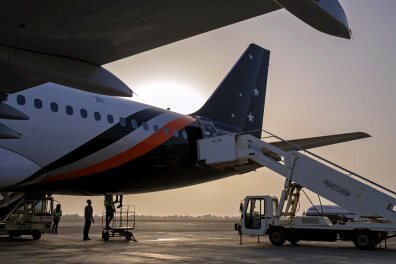 Titan Airways, Thomas Cook Airlines and Enter Air all form part of The Gambia Experience flight programme offering our customers the widest choice of airports,durations and upgraded flying options. 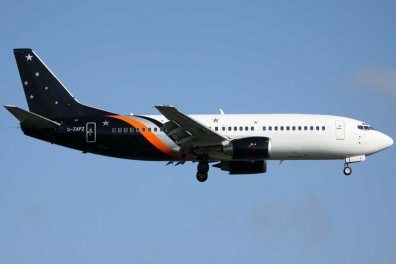 On our winter Gatwick flights with Titan Airways we can offer our exclusive Star Class and Star Plus on a modern Titan Airways A320 aircraft. The service offers a limited number of flight seats in a separate forward cabin in a 2-2 configuration with dedicated wc, 30kg to 40kg luggage allowance, an enhanced meal and complimentary drinks service onboard. Summer flights offer exit seats while winter flights departing from Manchester and Birmingham feature Extra legroom and Exit seats, all available at a supplement. 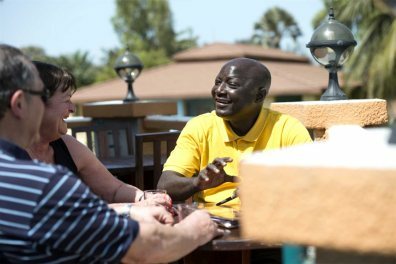 As a specialist to The Gambia, The Gambia Experience maintains its own resort office based at the Senegambia Hotel, which is looked after by Joyce, the Resort Manager, and is manned by a large, experienced and enthusiastic team. 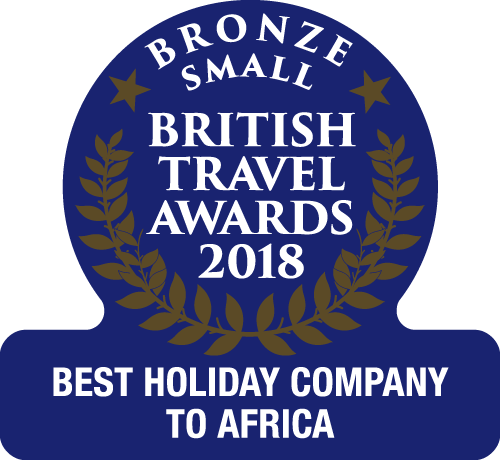 If you wish to purchase flights from Gambia to the UK, please contact the resort office or our UK call centre 01489 866939. Flexible tickets from one-way to 12 months are available throughout the year. We're pleased to offer 20kg hold luggage and 6kg hand luggage (5kg in summer) as standard with all our flight only and package holidays. 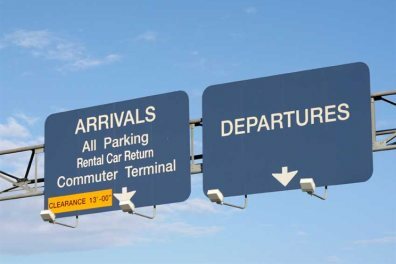 It's possible to purchase additional luggage on selected departure dates - please call for further details.